These Tote Bags are both fabulous and functional! Great for the grocery store, jaunts to the beach, book club, workouts or school. These awesome tote bags are hand sewn and custom printed in the USA from a lightweight, poly poplin fabric with double stitched seams for added durability. The totes are printed on both sides using dye sublimation to ensure the longest color life of your new artwork. Machine washable: Wash with cold water on gentle cycle, tumble dry with low heat. 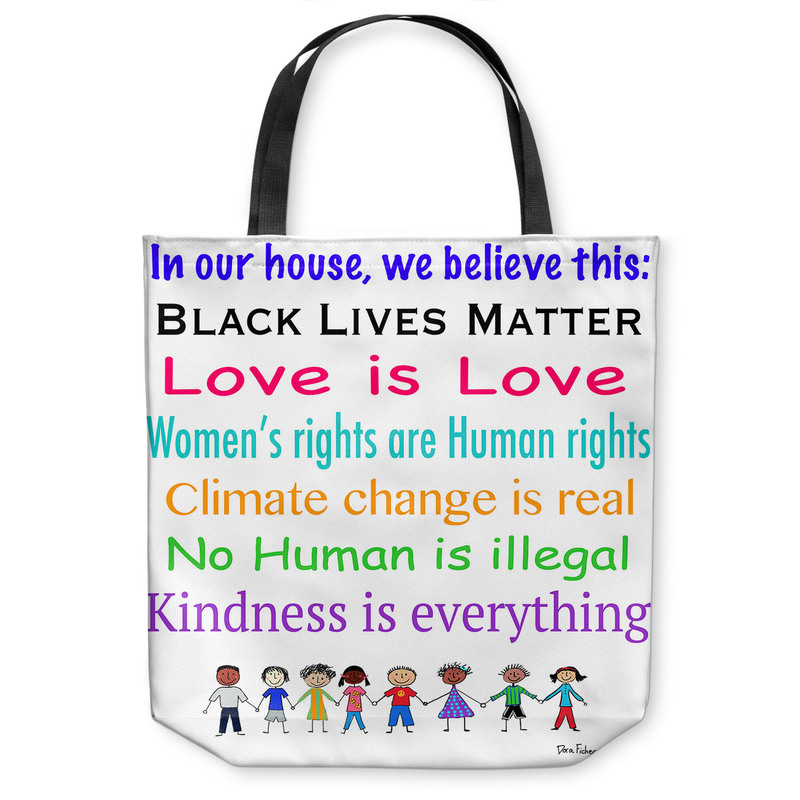 This entry was posted in Blog and tagged black lives matter, human rights, kindness, love, tote on December 1, 2016 by doraficher. MeLinda Tatum Kaiser here (Harrison Kaiser’s mom from PMFS). My church is having an auction tomorrow and I was wondering if I could buy one if each of your products to auction off? I realize that it’s short notice, but maybe it would give you more business from people who saw your items. The message in the plaque and tote are perfect for our church. We are back from China and living in Wyndmoor – I’m not sure where you are, but I’m happy to come to you. That is so nice of you!!! 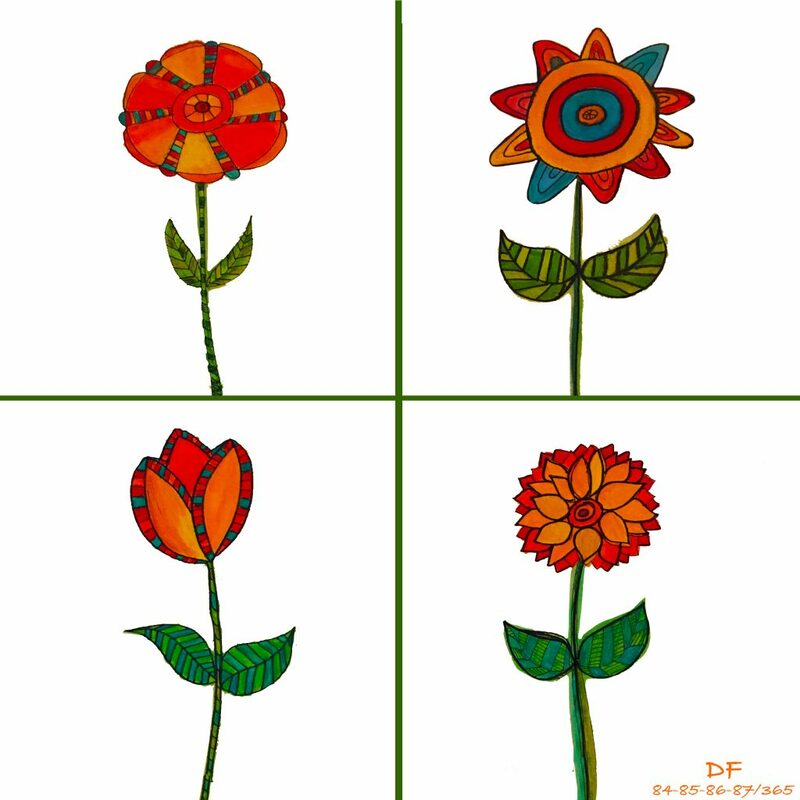 I would have loved to give them to you for the auction. I am waiting for a shipment. I don’t have any with me at the moment.